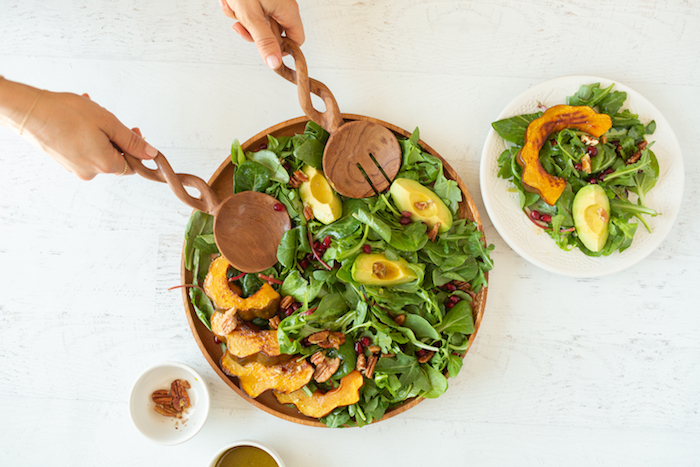 Feel warm with this fresh salad. 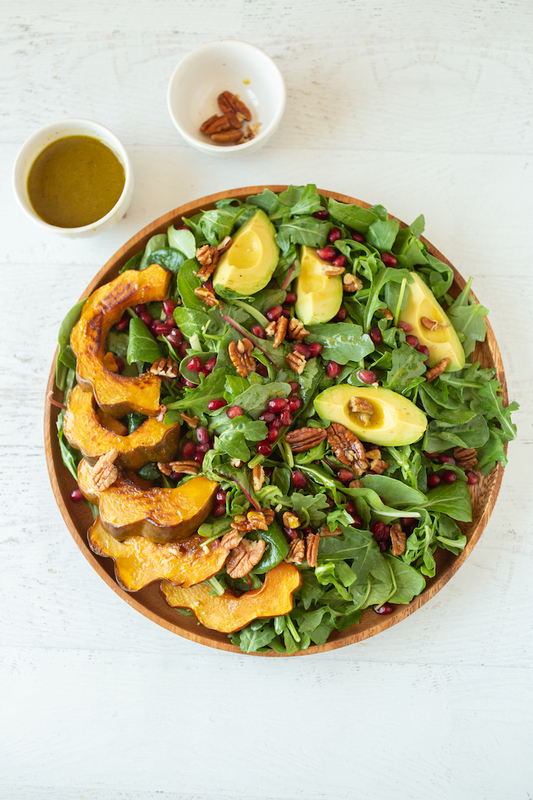 Topped with caramelized acorn squash, this salad is sweet and good to eat! 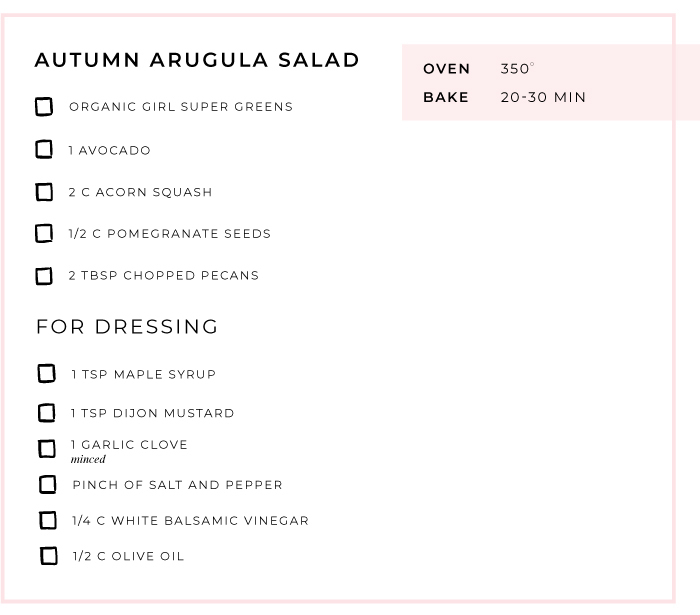 Our friend Kelly LeVeque loves this salad for fall dinner parties or easy-to-make meal-prep dishes. Whisk together and drizzle 2 tbsp per serving. 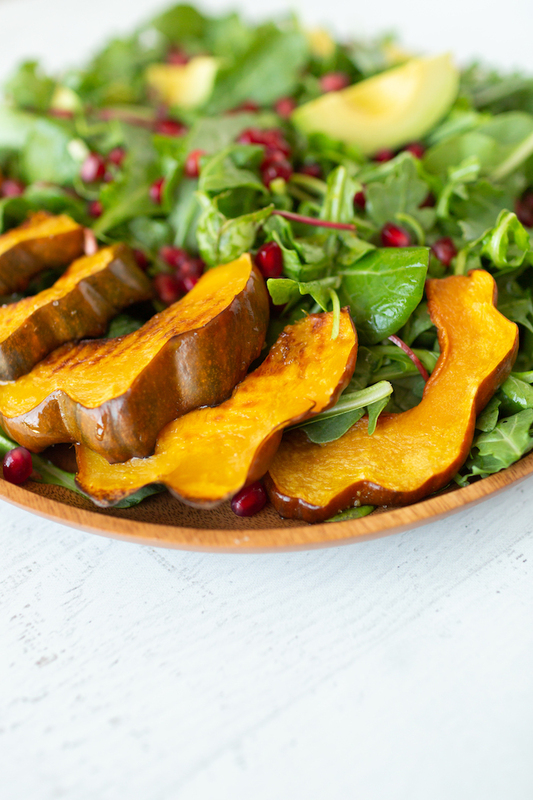 Slice squash ½ thick and roast at 350°for 20-30 minutes or until caramelized. Hosting an autumn dinner party? Pair with acacia wood bowls or serving utensils to top your table. See more recipe inspo from Kelly here!